As the summer sun beats down Kerala and its people, and the world sweats till the light at the end of the global financial crisis becomes evident, it is raining IT parks in Kerala! The Government has just announced plans for ten of them through the Governor's Speech last week. The timing of this announcement amidst the slaughter in the IT/ITES sector may sound curious, but it gets even more interesting as we look into the details. Imagine that these ten IT parks totally over 20 million sq.ft. of business space and over 1000 acres of prime land, most if it already notified as Special Economic Zones (SEZs) are being developed by a single developer which will hold 26% equity stake in a combined investment of over Rs 15000 Crores ($ 3 Billion), making it one of the largest developers of business space in India and perhaps in the world. We would be forgiven for thinking that this developer has crack management team which includes project specialist, marketing wizards and ace architects. A swanky office, befitting a corporate with such an impressive balance sheet. And most of all, a well-design business plan to develop, market and operate all those millions of square feet. Right? The developer in question has a grand total of one table, one chair, one computer, one printer and one employee. Did I forget a board in front of its borrowed office and a website? Shocked, I am sure?! Well, this is just the start of the curious case of the Kerala State IT Infrastructure Ltd. Started in 2007 to be the Government's Special Purpose Vehicle (SPV) in the ambitious aim of making Kerala one of the top IT destinations of Kerala, KSITIL has sadly gotten bogged down somewhere between then and now. The idea behind KSITIL was to create a vehicle for enabling Public Private Partnerships (PPP) in developing IT infrastructure in Kerala. At the time of its inception, KSITIL's primary aim was the development of the mammoth $ 2 Billion Technocity project but this was later extended to a state-wide mandate which includes the District Level IT Parks. 51% of KSITIL's equity would be held by the Government while the rest would be sold to investors. KSITIL would then hold up to 26% equity in project-specific SPVs where the rest would be with private developers. Despite the fact it has a corpus of about Rs 30 Crores, the seed contribution into the Government's 51% stake in the company, KSITIL has not done much other than act as the official manager of the bids to develop Technopark Phase III and Technocity Parcel A. The funds to acquire the land for these two projects were raised through loans by Technopark. Similarly, the district IT parks are being developed by Technopark, Infopark or by the still-on-paper Cyber Park. Most likely, the funds for the same will be mobilised through these respective entities as well. Indeed, the new satellite parks will borrow the brands of their parents and will be true off-shoots of the latter. And it is not as if the State has not been successful with SPVs before. 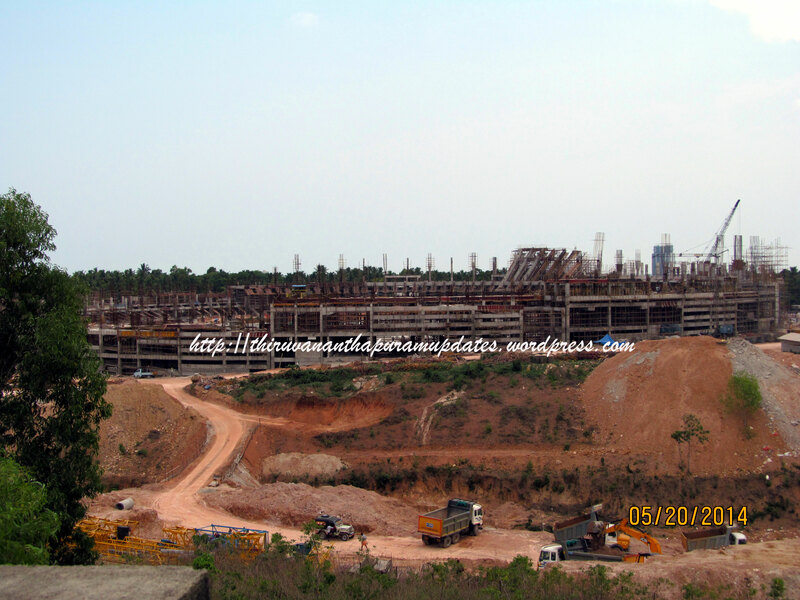 Infrastructures Kerala Limited, INKEL, is similar to KSITIL in purpose and structure. It has over Rs 100 Crores in its kitty and swanky offices and staff in Trivandrum and Cochin. That it has achieved absolutely nothing in the past 18 months or so, is perhaps more a reflection of the lack of a clear vision than capability. So where does this leave KSITIL? Well, it has a lot of money to its name and precious little else, a curious contradiction in Kerala where most Government organisations have everything but money. The idea of having an SPV to manage all PPP projects in the IT sector is very sound. After all, thousands of crores of investment are needed to meet the Kerala Govt's ambitious target of 200,000 IT jobs within the next decade or so, which is a lot more than the Govt. itself can mobilise given its current financial standing. Letting the private sector run rampant is also not a wise option in land-starved Kerala, so PPP seems the best way ahead. Possibly, where the Government had to abandon KSITIL was when instead of raising equity for it (that missing 49%), it was chosen to raise debt. It would have become evident than lenders preferred to give money to a successful concern like Technopark rather than to a paper-company like KSITIL. In the rush to get the district parks going, it must have been deemed best to overlook KSITIL conveniently and instead seize upon the "hub-and-spoke" idea of IT developed first suggested by Kiran Karnik during the inauguration of Thejaswini at Technopark in 2007. Thus the district parks have now been made part of the "expansion" plans of the three main IT parks. The jury is still very much out on how effective this model will be. Indeed, Trivandrum which accounts for over 70% of Kerala's IT/ITES industry makes a meagre 1.2% of India's total IT exports while Cochin stands at a paltry 0.3%. Not exactly the figures one would deem worthy of the term "hub". This makes it clear how incorrect the comparison often drawn to Tamilnadu's strategy of developing Tier II destinations is. Tamilnadu's hub - Chennai - has 10 to 15 times as much IT exports as Kerala's hub, Trivandrum. The number of companies already present in Chennai is much higher. It is only after the major hub had achieved critical mass have Tamilnadu, Karnataka , Maharastra or Andhra Pradesh chosen to develop Tier II destinations. This ensures that the brand of these states in the IT/ITES industry is strong enough to attract investments even to their next tier of cities. And in many cases, these Tier II destinations - Coimbatore, Mangalore, Vizag or Nagpur - are bigger cities than Trivandrum or Cochin let alone the Tier II cities of Kerala - Kollam, Thrissur, Alleppey or Kannur. All this raises the question of whether we have jumped the gun by trying to develop the spokes before the hubs themselves have attained critical mass? I was at the Investor Meet organised by Technopark on the 9th for its proposed "spoke" at Kollam. It was attended by a heavy-weight set of CEOs from Technopark including the bosses of TCS, UST Global and SunTec. The key points that they raised is whether Kollam or its Tier II siblings would present a significant cost advantage with respect to Trivandrum or whether these locations could provide all the facilities needed to host the IT/ITES industry? Considering the fact that the land cost and the construction cost at Trivandrum and Kollam are not very different, the operational cost cannot be fundamentally different. In fact, with the temporary glut of IT space at Tier I destinations, one might get space at Whitefield or Gachibowli at the same cost as at Kollam! While Kundara, where the Kollam IT park is coming up, is reasonably close to Trivandrum and those at Koratty in Thrissur and Cherthala in Alappuzha are close to Cochin, the same cannot be said of all the district parks, some of which are three or more hours from the nearest airport! The CEOs felt that these hurdles would not be insignificant in the development of the district parks and hence they opined that the best way ahead was to draw Small and Medium Enterprises to these parks and to start small, with support facilities like residential space included in the master-plan for each park. BPOs could also find it advantageous to operate from these Tier II locations. The truth is that the "hub-and-spoke" model will eventually work in Kerala, mainly due to the wide-spread urbanisation and abundant human resource pool. But the important thing is that it eventually work, in 2015, perhaps not tomorrow. By 2015, Technopark and Technocity will together employ over 100,000 IT professionals. Perhaps more. "IT@Kerala" will be as strong a brand as "God's Own Country" by then. And then it would not be difficult to attract investors not just to Kochi or Kollam, but to the likes of Eramam (Kannur) or Chimeni (Kasargode). The key first step is to ensure that Technopark Phase III and Technocity take off in the next few months. "In the middle of the recession?! ", would be an understandable question. But it is very likely that like many past recessions, this one will be followed by a boom. This boom will make or break the next wave of IT/ITES destinations across the world and in India. If we don't have world-class facilities available to catch this wave, we risk being left behind as a backwater as we were in the late 1990s when Bangalore, Mumbai and Hyderabad raced ahead of Technopark, India's first IT park (established in 1994). Thus, Technopark and Technocity must use the next 18-24 months to develop a significant inventory of business space and associated facilities. It would be advisable to focus investment on Technocity in particular, as Technopark is already in the process of developing part of its Phase III campus on its own. The revenue from Technocity, by far Kerala's largest IT project with a planned 10 to 15 million sq.ft of space, can be used to fund some part of the initial capital to develop the district parks. To achieve all this, it is essential to get KSITIL off the drawing-board and develop it into a world-class organisation. First and foremost, it is essential to get a good team together. A capable CEO is the best starting point, around him could be assembled an efficient marketing and development team. The aim of KSITIL must be to conceptualise, develop, market and operate world-class IT facilities. The first act of the team should be to tie up an anchor developer for Technocity, after which it will be much easier to raise equity from institutional investors. With the future cash flows of Technocity assured, KSITIL will be a much more attractive proposition to lend to. Rather than depend on the "NRI" factor for funding, KSITIL should prefer institutions which have a much more long-term outlook on returns than individuals would. Once progress has been made in developing itself and developing Technocity, KSITIL can move on to developing the district level parks in earnest. They can continue to use the brand of the parent parks but will be funded and managed by KSITIL. Indeed, it would be a great idea to merge Technopark, Infopark and Cyber Park into KSITIL at a latter stage to centralise the assets and revenue streams, while retaining the brands for marketing purposes. In any case, Technopark and Infopark are stretched to the limit with their current responsibilities without burdening them with the job of setting up new IT parks. With a dedicated team, KSITIL will be much better suited to the task. It is laudable that the current Government has realised that the service sector, and especially the IT/ITES industry presents the best hope of economic development for Kerala. With a paucity of space and natural resouces, neither agriculture nor heavy industry is a viable solution for development. The establishment of Technopark and the conceptualisation of projects like Technocity has revealed the vision of the Government but unless it takes a long-term view to the hub-and-spoke model and urgently operationalises KSITIL, it runs the risk of having its dreams die on paper.